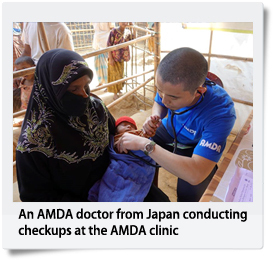 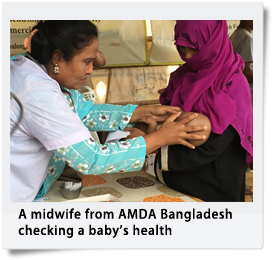 >> Read more articles "Medical Support for the Displaced Rohingya Community in Bangladesh"
"As long as there's a life to be saved"
In order to continue providing medical support for the Rohingya people, AMDA needs the kind support of anyone who can give it. 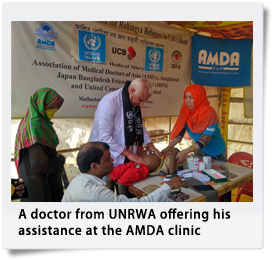 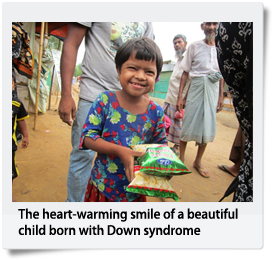 The displaced Rohingya people need your help. 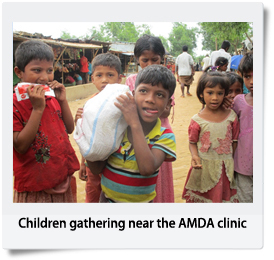 Every donation received goes directly to the medical teams carrying out AMDA's medical relief efforts.